One of the many concerns that may arise following a cancer diagnosis is the risk involved in the treatment itself and an assurance that precautions are taken by the medical staff to minimize the potential for harm. Patients need to know they can trust the doctors and staff responsible for their care. Reducing or eliminating every known potential for error is an essential factor in determining how the staff manage the operations of the facility. Safety precautions are taken every step of the way. This dedication to quality is something patients can sense and appreciate as soon as they arrive, and it can make a significant impact on both their outlook and outcome. The Advanced Prostate Cancer Institute is staffed by medical professionals who are passionate about the work they do and the people they serve. Each individual does his or her part in ensuring the safe operation of medical equipment and patient care. 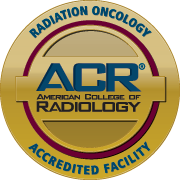 The medical staff have systems in place that ensure they are applying the radiation treatment properly and in the right place, that the patient is positioned properly, and that data entered into the system is correct and modeled properly according to the physician’s treatment plan. At Advanced Prostate Cancer Institute, it is not only the doctors and medical staff who work according to the highest standards, but also the equipment. 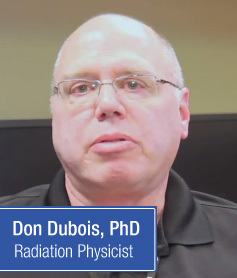 Machines are frequently checked to ensure they are capable of delivering radiation accurately. Medical staff perform quality assurance checks on machinery and equipment on a daily, weekly and monthly basis, which ensures the highest level of confidence that patients are receiving the right treatment in the safest possible way.